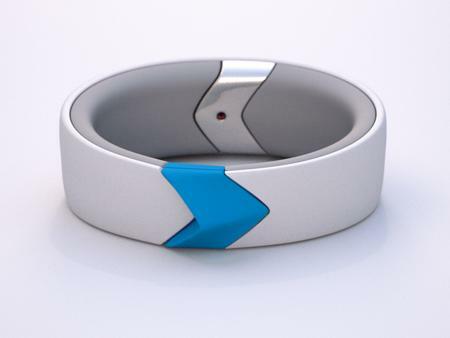 To put it in a nutshell, the Amiigo is actually a sweat-proof fitness bracelet (as it should be, considering the bucketloads of sweat that you would end up shedding whenever you indulge in a vigorous exercise session), where it is accompanied with a shoe-clip, and is “smart” enough to identify just the kind of exercise that is being performed at the moment, in addition to detailing your body’s physiological response. Having picked up more than the amount required to make the Amiigo a reality on crowd-funding site Indiegogo, you can now place a pre-order for the Amiigo. I find it interesting that the Amiigo is able to tell the difference between running on a treadmill and using an elliptical, thanks to integrated sensors within which correlate with upper body exercises and sensors located in the shoe-clip that obviously, focuses on the lower body. These will “talk” to an iOS or Android device via Bluetooth, and the Amiigo will also be able to track heart rate, blood oxygen levels, skin temperature and amount of calories burned. Shipping of the Amiigo commences sometime in June this year.